The hotel offers guests use of a heated indoor swimming pool with a hot tub, semi-Olympic outdoor swimming pool and a thermal spring water swimming pool (fees apply to all). 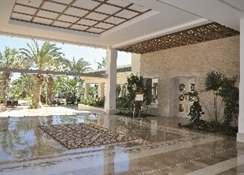 There is also one tennis court, a poolside snack bar and thalasso therapy centre. 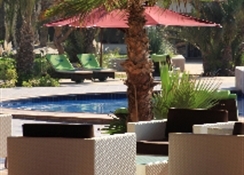 Sun loungers and parasols may be hired at the hotel and on the beach. 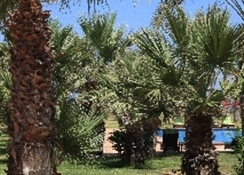 Djerba Golf Club is in the vicinity, situated between the sea and the palm trees. 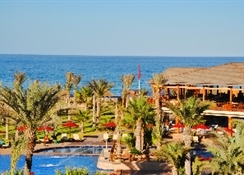 The hotel offers 210 rooms, 3 junior suites, a presidential suite, excellent cuisine and a pleasant barbecue area, located at the edge of the sea. It is endowed with one of the most beautiful fine sandy beaches on the island, a conference room with meeting facilities and guests can enjoy going directly from their room dressed in a robe to the heart of the thalasso therapy centre. 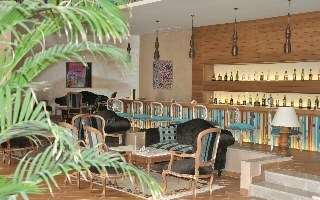 Renovated in 2009, the air-conditioned establishment features a lobby with 24-hour reception and check-out services, a hotel safe, currency exchange facilities, lift access, a hairdressing salon and a games room. Delicious food and fresh drinks are served in the café, bar, pub, disco and restaurant. 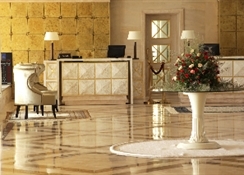 For an additional fee guests may make use of the Internet access. 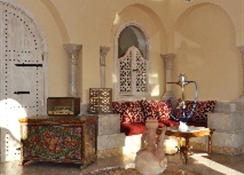 Furthermore, room and laundry services, a car park and bicycle hire are provided.The air-conditioned and centrally heated rooms are equipped with a direct dial telephone, radio, satellite TV, safe, minibar and a balcony or terrace. The en suite bathrooms are fitted with a shower, bath and hairdryer. A double bed and Internet access are further standard features.